Can you imagine being the first to experience the morning sunlight? Maine kick starts the United States daily. Eastport, Maine is the most eastern city in the United States. In fact, the city is considered the first place in the United States to receive the rays of the morning sun. 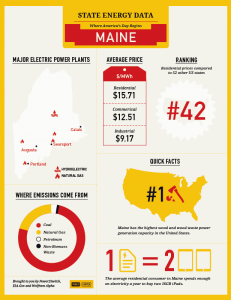 Maine is ranked number 42, in our United States of Energy data series, in residential electricity prices compared to 52 other United States averaging $15.71 Megawatts per hou r. Major electric power plants in the state include hydroelectric and natural gas. Emissions primarily come from coal and secondary from natural gas. Did you know? 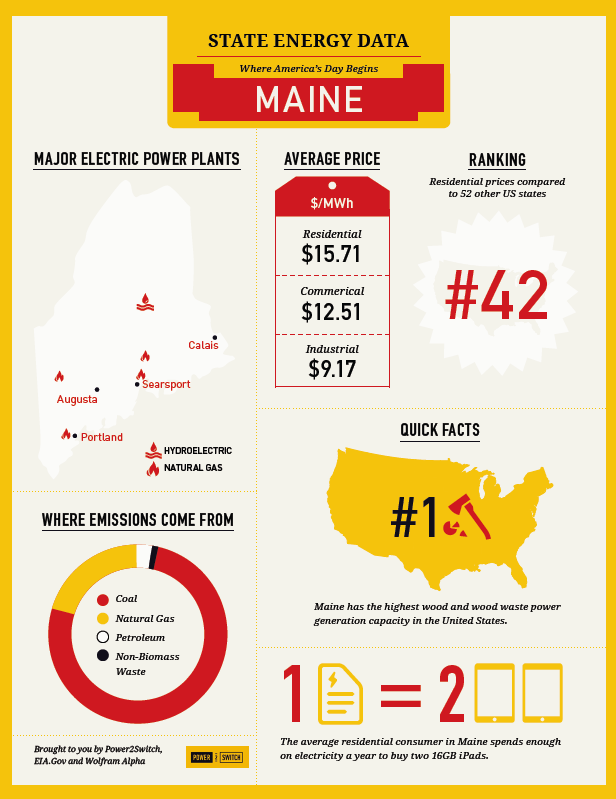 Maine has the highest wood and wood waste power generation capacity in the United States. Speaking of wood… The nation’s first sawmill was established near York in 1623. Maine is also the home to a large number of shipbuilding companies. Wooden shipbuilding had a major role to play for the economy of Maine during the 18th and the 19th century. 90% of the country’s toothpick supply is produced in Maine. This plan produces around 20 million toothpicks in a single day. What better place for America to begin it’s day… a coastal city (bordered by the Atlantic Ocean to the east and south), with summer temperatures in the 80s, and delicious seafood, especially lobsters! Hey Texas, Welcome to Power2Switch!